Donald Trump’s secretive meetings with Vladimir Putin are raising new questions about the American president’s ties with Russia in light of two reports issued over the weekend. The New York Times said on Friday (Jan. 11) that the Federal Bureau of Investigation opened an inquiry in May 2017 to determine whether Trump was actively working for Russia. 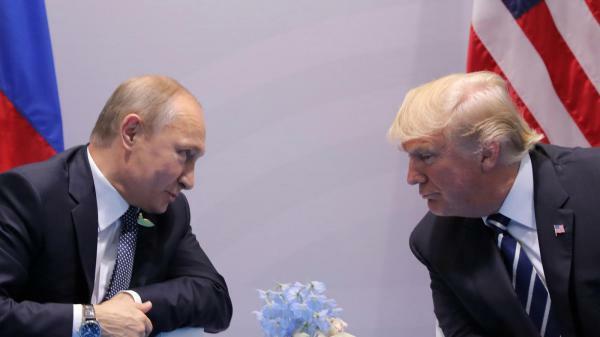 Meanwhile, the Washington Post reported on Sunday (Jan. 13) that Trump has repeatedly tried to hide the content of his conversations with Putin, including by admonishing his translator not to disclose what was said during a conversation with the Russian president. The new information sheds light on Trump’s first encounters with Putin. Here’s a look at them, based on a timeline released Monday (Jan. 14) by Andrew Weiss, an expert in American-Russian relations at the Carnegie Endowment think tank. Trump received some disturbing news on the morning of July 7, when the New York Times reached out to the White House seeking comment on a bombastic story. The Times had learned that Trump’s son, Don Jr., together with Jared Kushner, the president’s son-in-law, and then campaign chairman Paul Manafort, had met with Natalia Veselnitskaya, a Russian lawyer. The meeting took place at Trump Tower, in the midst of the presidential campaign in June 2016. Later that day, Trump and Putin met in person for the first time. Their encounter, which was scheduled as part of the G20 summit in Hamburg, lasted more than two hours, and was surrounded by secrecy. The only people present were Trump and Putin’s translators, and the American and Russian foreign ministers. Afterwards, both presidents gave reporters vague descriptions of what was discussed. Trump reportedly ensured the content of the meeting was kept secret by keeping his translator’s notes, and demanding that she not brief anyone on what was discussed, according to the Post. Then, on the evening of July 7, during a formal dinner in Hamburg, Trump walked up to Putin, and the two talked “privately and animatedly” for almost an hour, Ian Bremmer, the head of political risk consultancy Eurasia, said at the time, citing world leaders who had been present at the dinner. The content of that conversation, which was kept secret for days, is even more opaque than what was said during the scheduled meeting. Besides the two presidents, the only other person present was Putin’s translator. While flying back to Washington from the Hamburg summit, the president dictated a statement to aides regarding the Trump Tower meeting. He claimed attendees discussed an adoption program of Russian children by American families, and that the presidential campaign didn’t come up, an assertion that was later repeated by Veselnitskaya. Trump’s statement was sent to the Times, signed by Don Jr.
Later it was revealed that the meeting was scheduled because the Russian lawyer wanted to provide the Trump campaign with dirt on Hillary Clinton, as part of Kremlin-backed efforts to help Trump win the election. Weiss notes that the sequence of events poses some prickly questions: “Why did [Trump and Putin] huddle together by themselves within hours of the White House learning that the at-that-point-still-secret Trump Tower meeting between [Don Jr.] and the Russians was about to become public?” he tweeted on Monday. The timeline begs another question: Did Russia in any way inform the statement Trump produced on board Air Force One on his return flight from Hamburg?